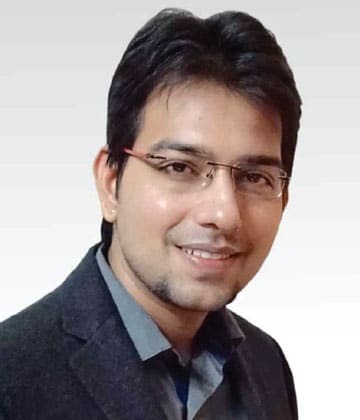 Nishant S. Rajawat, Director – Technology, Cybernetyx Group, talks about the company’s array of products that makes learning simpler for today’s generation. Q. There has been a lot of talk recently about our education system being too hard on students. Do you see a way where we can make the learning better and yet not compromising on the core value of imparting sufficient knowledge? We have seen that the amount of topics that a student has to learn has become enormous currently. Many feel that given the prevailing situation, it is important for the students to learn expansively. I believe that though it might be necessary for the students to gain more well-rounded knowledge, we can atleast simplify it for them by speaking a language that they best understand and respond to. In the era of smartphones & tablet computers, we can’t really expect the students of this generation to conform to the traditional methods of knowledge gathering. It is important for us to speak the language that they want to hear and teach them in a way that they welcome. I feel that the need of the hour is to tweak the method of learning rather than the curriculum itself. These days there are methods which the students better associate with for example, digital platforms. That’s where ICT tools come into the picture. Q. How do you see use of ICT tools shaping up the next gen classrooms? Technology comes naturally to students of today (Digital Natives) and they understand, enjoy and utilize it better than ever. Thus, not only such awareness and willingness to use technology directs the students in the right direction, it also helps give a voice to the quietest child and improves performance as a whole. When Traditional textbooks are being replaced by digital, animated classroom content, White/Black boards are substituted by Interactive Whiteboards (IWBs), Cybernetyx believes to develop and introduce these technologies in the simplest forms. With the philosophy of “Freude an Technik” (the joy of technology), Cybernetyx conceptualizes, develops and manufactures the most advanced Multi-Touch award-winning Interactive Products in the world that are perfect complement to the conventional pedagogy in classrooms, in the process making sure that their ultimate users i.e. the teachers feel comfortable using them. Q. Do you see this as a challenge for teachers? I personally believe that Interactive Whiteboards can be the best friends of a new-age teacher. Interactive Whiteboards, Document cameras and other ICT tools solve real problems in the education such as preservation of notes, redundancy, saving time, student interest, bridging the gap between virtual and real world information and so on. Cybernetyx EyeRIS range of interactive products are simple to understand and use, yet powerful enough to equip the teacher for the next generation of teaching tools. Many students say that animations make concepts clearer, help understanding machines/equipments. Practical explanation of grammar with examples makes learning fun. Welllabeled animated diagrams enhance the learning experience. The implementation of ICT classrooms provides a school with a perfect mix of traditional teaching techniques and futuristic elements. Q. Please tell us about your current product offering for the Indian Market? Cybernetyx has had an extensive and enriching presence in India with a dedicated sales, development and support office located in NOIDA. Post the deployment of more than 26000 interactive systems from Cybernetyx India office, we command a leading market share and our flagship product EyeRIS (Eye-like Rapid Imaging System) is acknowledged widely as standard in the interactive whiteboard solutions space for both K-12 and higher education. Cybernetyx has always focused on providing our clients with industryleading and cost-effective ICT equipment and software solutions. We are a customer-centric organization and regular product updates and new product developments based on customer feedback are our strength and focus area. With our latest 7 gen EyeRIS products like 7090UST & 7120ST we have taken the ease of use of IWB to the very next level. With 7 series of products we have eliminated the biggest challenge that a user faces in a classroom : 9, 25 or even 49 point calibration. Our 7 series products are equipped with Auto-Calibration functionality so that you don’t have to calibrate them manually at all. With EyeRIS 6120ST and 7120ST we have tried to tap a relatively unexplored market of life-size IWB. The general size of our IWBs is now up to 120″ from the conventional 78″ and at a much more competitive price than the market. This eliminates the big issue of content visibility from the last benches in a midlarge sized classroom. Additionally, we have introduced a new version of our highly appreciated UNIBOARD AIO solution – v1.1, and the recently introduced UNIBOARD Slim, keeping up with the changing trends in ICT setup in classrooms.Also, with customers moving towards short-throw projectors, our latest offering Cybernetyx i-Mount is compatible with nearly all short-throw projectors which are now available in India. Q. How important is it to have software as good as the hardware? A great hardware is the one which disappears in front of the users so that they can concentrate on what they are doing, what they are looking at, the content. Nearly at all times, the users (like the presenters, teachers and students) just face the software UI and UX. Thus, I believe that for ICT equipment, application and driver software may even bemore important than the under lying hardware. It is critical to have appropriate software to any high-end IWB hardware to utilize its full potential. Also, IWBs are primarily content creation and consumption devices and only great software foundation can enable these both. With EyeRIS and IntelliSpace, Cybernetyx has tried to make a genuine effort at such anamalgamated hardware and software experience. The best part is that the whole system is still simple, intelligent, intuitive and very easy to use. EyeRIS system as the hardware, is quite compact and unlike generic physical IWBs, fuses into the user experience once installed. IntelliSpace, on the other hand, then takes over beautifully as a functional UI and carefully crafted UX. Bundled with an in-built resource library spanning thousands of images, 3D content and also our unique cloud content capture feature of MyCloud, it allows teachers to access near infinite magnitude of free and world-class content. This allows teachers to express themselves in a whole new way in classrooms with the shortest learning curve. Q. How important a role does the teacher training play as per you? Teachers’ Training is extremely crucial & KSF for smooth implementation & roll-out of Digital Classroom Integration project. The ICT brings the entire world into the classroom, and only a teacher can play the role of the vanguard to the introduction to such enormous amount of information. We think it is our responsibility to make sure that proper training is imparted to every teacher and that they are able to extract the best out of it. We conduct training sessionsfor teachers, aimed at making them well-versed in utilizing the power of our solutions. All our training sessions are taken by Certified Trainers and we make sure that every training session gives maximum exposures towards the implementation of our solutions, at the same time keeping it interesting and fun. Cybernetyx also hasa teacher certification program where our trainers do a hands-on training, post completion of which, the qualifying teachers are certified. We feel that it is our responsibility to ensure smooth transition to our solutions as the key objective is to make the life of the teachers simpler and the understanding of the students easier and lasting. From where I see, it’s working awesome, it’s a lot of fun and it’s a win-win. Cybernetyx is a fast-growing multinational technology corporation with its registered offices in Hameln, Germany with development, sales and support presence in multiple countries across the globe including China, India and South Korea. Cybernetyx has developed several award-winning advanced Human-Computer Interaction products in the industry which are deployed across users from all ages and various market segments, including Education, Corporate, SME and Government. At Cybernetyx, we believe that an interactive product must act as an information and communication platform for its users by providing intuitive digital tools to fetch, create and share content, to engage the viewers and enrich the content creation and consumption capability in Classrooms, Training rooms, Conference rooms, NOCs, Open Spaces and beyond. Before releasing our solutions in the market, our world-class development team has put in more than 8 years of extensive research work in creating a technology which highly performs on this core belief. Cybernetyx flagship products like EyeRIS (Eye-like Rapid Imaging System), IntelliSpace, UNIBOARD, EyeSIGHT, OPTIMARK et al are getting extremely popular across the globe and now are widely acknowledged as a technology-benchmark in the interactive solutions space, already impacting more than 25 million Presenters, Educators and Learners in a short span of time and with a user-base growing at an exponential rate. Additionally, multiple of the Global Fortune 500 companies are also using our technology core today to integrate and provide leading interactive display solutions to their clients, thus making us the fastest growing company in the ICT space across the world. Cybernetyx Research Areas: Computer Vision-based MultiTouch Interactive Whiteboard Systems, Any-surface computing, Interactive Projection Solutions, Gesture-based computing, Natural User Interface (NUI) Applications, Tabletop/Surface computing, Interactive Virtual/Augmented Reality, Interactive Floor projections, Augmented reality & Pervasive/Ubiquitous computing.